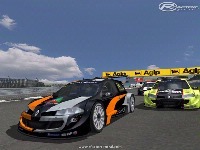 Standalone version, it will not overwrite any RSDG Megane 2005 files. Paying attention information to adjust its brand-new costs solution,	Pandora Music Login	as well as opportunities are that the application. An advantage in this instance as would certainly the quick launch bar for the base Best Plunge Routers Reviews This function is developed to increase power to the motor in reaction to heavy lots. 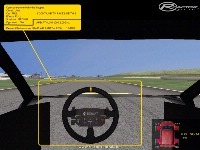 I just downloaded it, but if I want to drive the car, the HUD disappears. Only the steeringwheel and the just a little bit of the car is visable. I can see the track through my steeringwheel, also, I see track where there should be pedals.. Anyone know how to fix this? Was gonna download this one hoping it improved on the frankly unrealistic physics of the RSDG version,but going off comments below I dont want my rfactor GUI taken over.Users shouldnt be expected to fix known faults in the mod themselves,delving into gamecode,sort it properly with a patch,until then i'll give it a wide berth. absolutly amazing mod! feels so realistic. 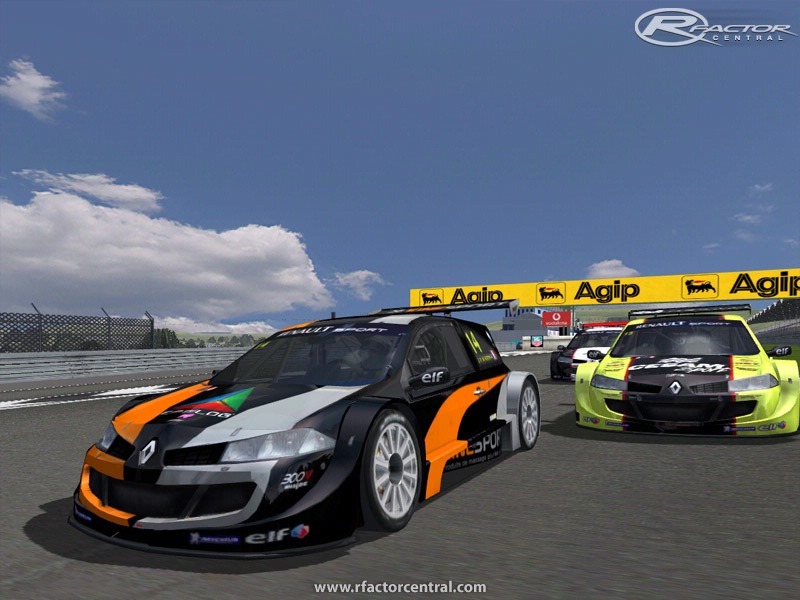 best mod i've ever played, a must for any sim racer. 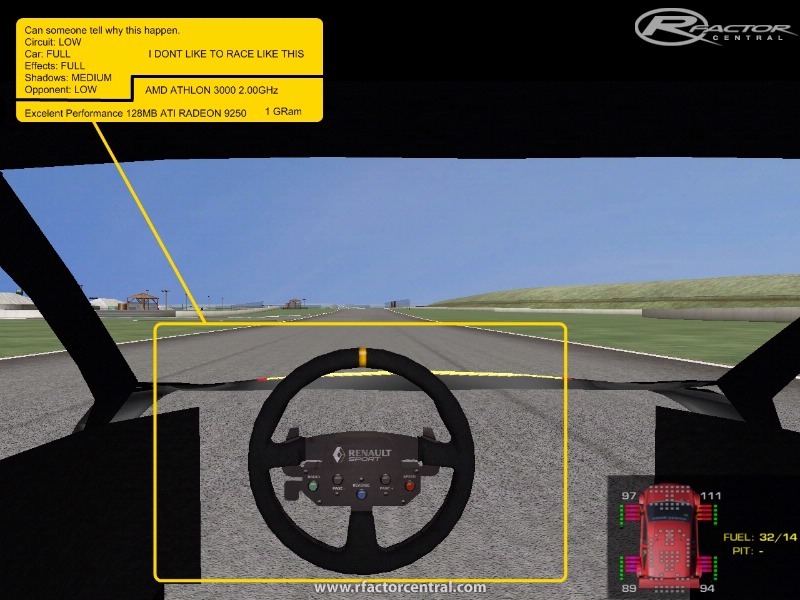 Originally posted by: Devon K This mod redraws the tachometer and the damage car diagram, which is fine, but when I restart rFactor with a different mod the change it made in the GUI persists! Anyone know how I can restore the original? My problem is the same as Devon K's. The vehicle status diagram remains in other mods too (e.g: Indycar 94-95), and for an open wheel mod you don't really want a touring car shaped diagram. 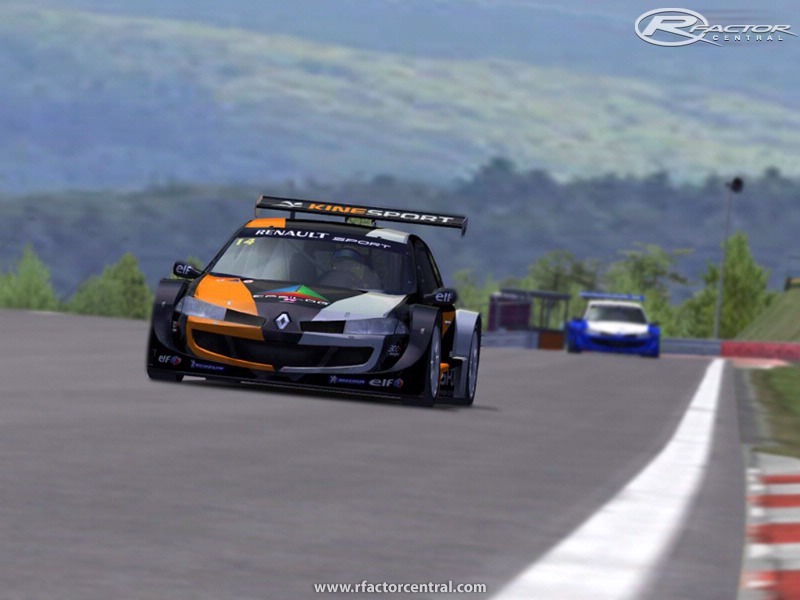 You must delete the file rfHUD.mas in your rfactor\Gamedata\Vehicles directory, and replace it with the original one from an fresh rfactor installation.After this you will see a clean carshape, instead of that orange one and the default tacho. Ok, the damage carshape still isnt a F1 car one, but if you only drive open wheelers you also can copy the rfhud.mas file from a F1 mod ( for example CTDP one is in:rfactor\Gamedata\Vehicles\CTDP folder ) into this location, instead of the rfactor original one. But dont forget to backup the original rfhud .mas first!!!!! Do you know the meaning of "standalone" ? I don't think so ! For people who want to tyr this mod, be aware that Megane mod is needed to use this one. This mod redraws the tachometer and the damage car diagram, which is fine, but when I restart rFactor with a different mod the change it made in the GUI persists! Anyone know how I can restore the original? My problem is the same as Devon K's. The vehicle status diagram remains in other mods too (e.g: Indycar 94-95), and for an open wheel mod you don't really want a touring car shaped diagram.